 There is no shortage of things to do during the summer in Columbus! 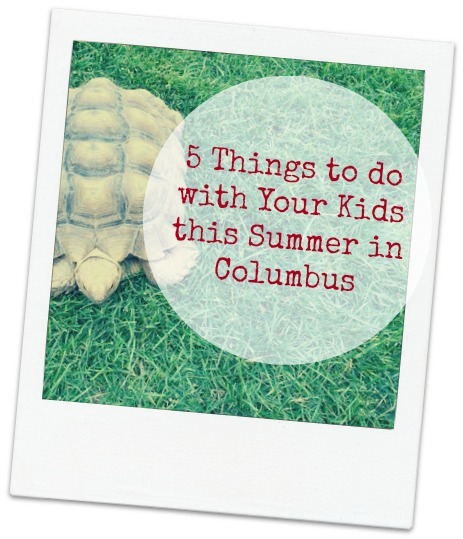 In fact, I compiled a huge list for Columbus Moms Blog! But there are so many things, it can get overwhelming to try to keep track and try them all, so I thought I’d do a short list of some of the things we’ve actually done this summer to give you some tips and ideas if you need them! 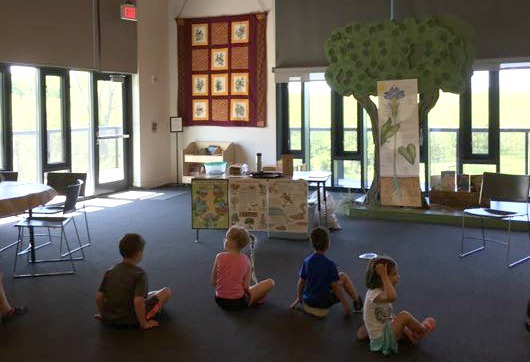 In May, we attended the Pre-K program at Darby Creek Metro Park about seeds. The kids got to hear stories about planting and then plant their own seeds in a cup. It was exciting when one day we discovered our seeds had actually bloomed! 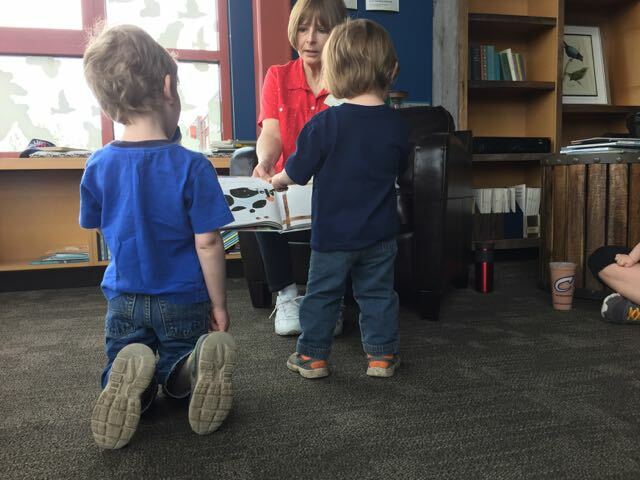 We also attended a story time at the Scioto Audubon. 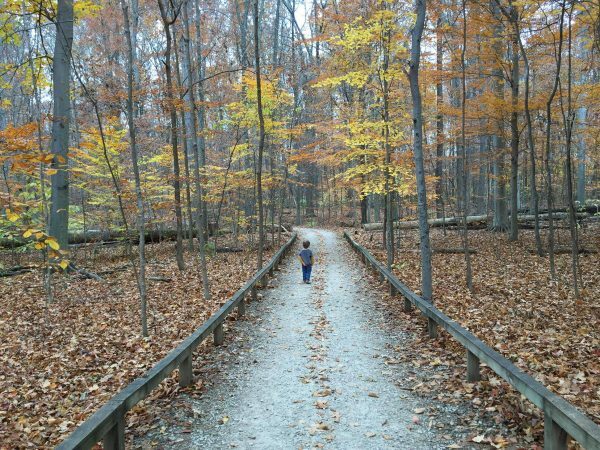 Most of the Metro Parks have some type of program for kids (and for varying age groups), and except for a rare occasion, they’re free! 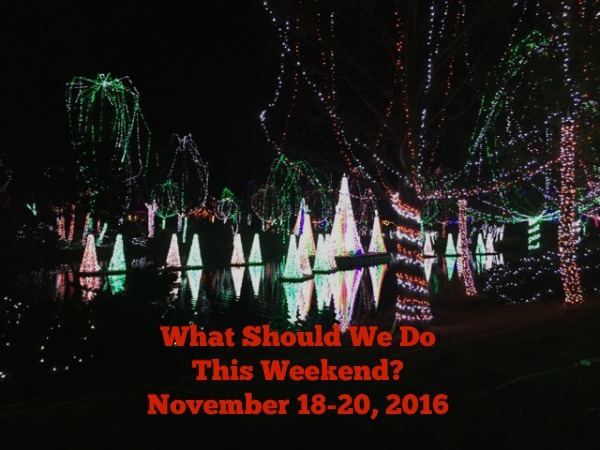 There are so many great opportunities to take advantage of at our Metro Parks! Click the link here to search for upcoming programs! 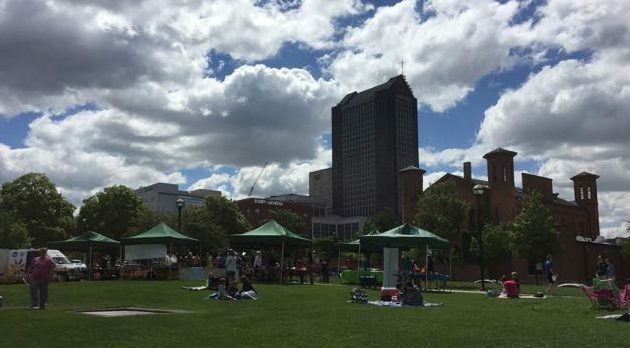 FountainSide takes place most Wednesdays from 11:30 AM – 1:30 PM at Bicentennial Park. 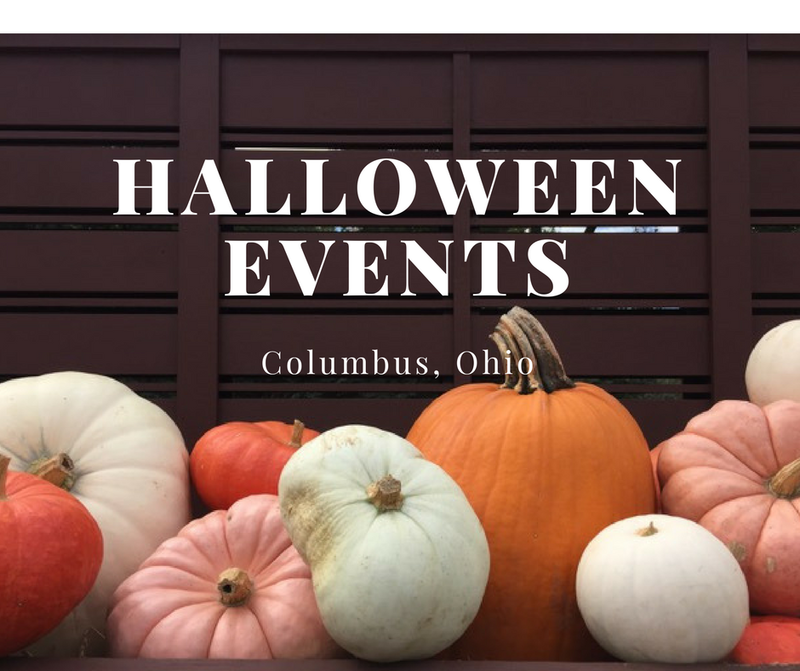 (Check the schedule in the link for the dates.) We attended the first one in June. The fountain area is really large and there are activities that take place in tents around the park. We got to blow bubbles, pet turtles, see chameleons eat bugs, crawl through tunnels, do a scavenger hunt in a pretend stream and plant seeds in a pot to take home! Donatos sells slices of pizza for $2 and the Lazer Kraze Treat Truck is on site to pass out free ice cream bars! It was a really fun time. I recommend bringing a blanket and staking out a spot on the lawn. My kids aren’t into splashing in fountains (though they will certainly go out of their way to splash in any muddy puddle they see, thank you, Peppa Pig.) but there was plenty to do anyway! 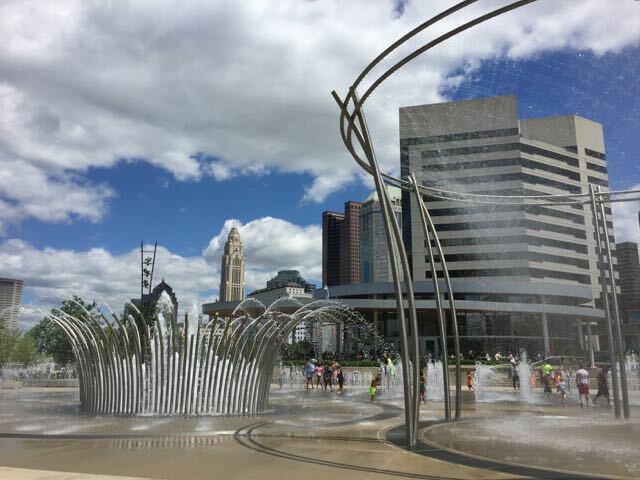 If you can’t make it during the week, the fountains are available for play from 10:00 AM to 7:30 PM daily. We didn’t actually tour the factory, but we did attend the Utica Sertoma Ice Cream Festival on the grounds of the Velvet Ice Cream Factory on Memorial Day. Since it was a holiday, the factory was not in operation, but we did get to see videos and take a look at the factory from the viewing window. The grounds of Velvet Ice Cream have a playground, a sand box, a pavilion, a gift shop and museum area, as well as restaurant and an ice cream shop, of course! 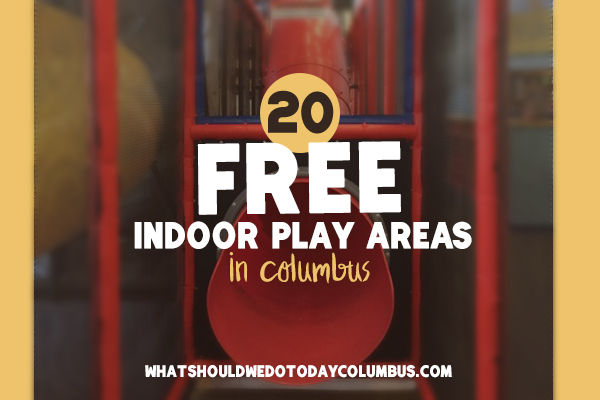 It was about a 50 minute drive from downtown Columbus. 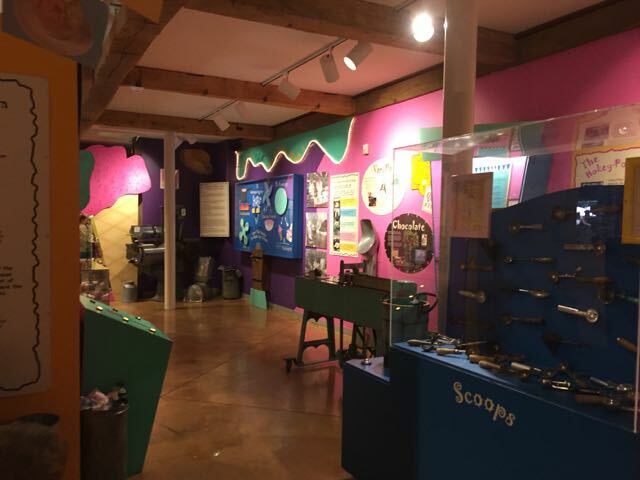 30 minute tours of the museum take place on the hour from 11:00 AM – 3:00 PM on weekdays. The tours are not offered on weekends, holidays and some Fridays. 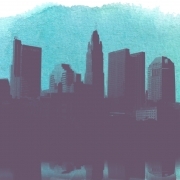 The CBUS is a fun and FREE way to get around downtown Columbus! Not only will it save little legs from walking (or more so, your back from carrying) long distances, it’s an exciting way to see the city! 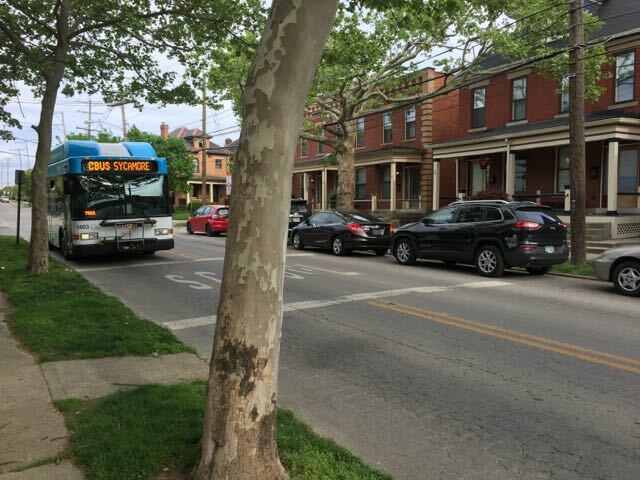 The bus runs every 10-15 minutes, every day! 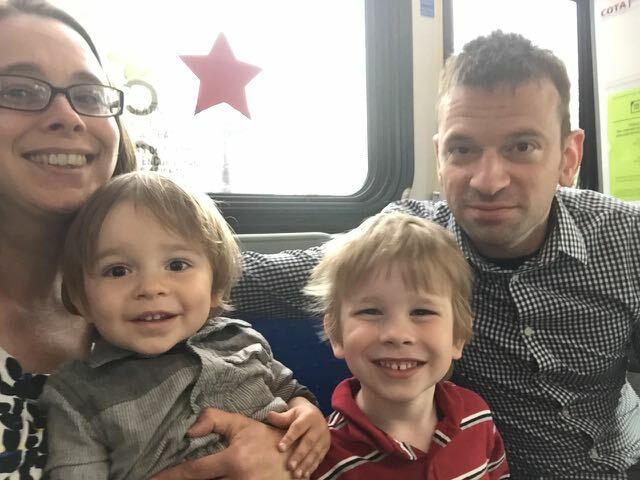 We took the CBUS on Mother’s Day when we had dinner at Northstar and then ice cream at Jeni’s (is that the perfect Mother’s Day or what?!). Note to self, it stops at 6:00 PM on Sunday! We didn’t realize that small fact in time! Luckily it was a short walk back to our car – but something to keep in mind if it happens to be Sunday and you don’t want to get stuck at the other end of town! 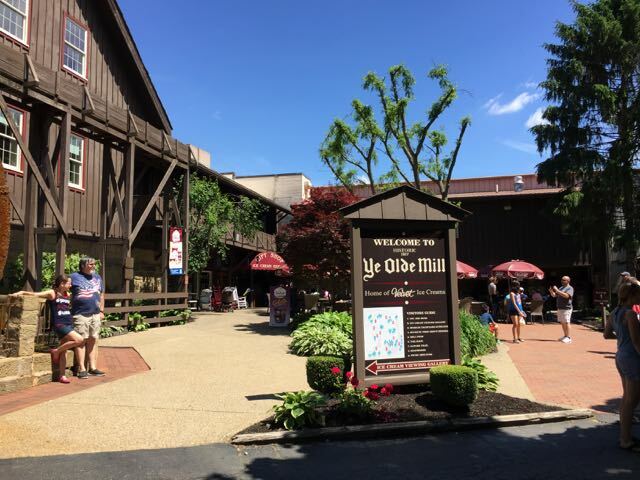 Ohio Village is open for the summer and it has been updated to represent the 1890’s! 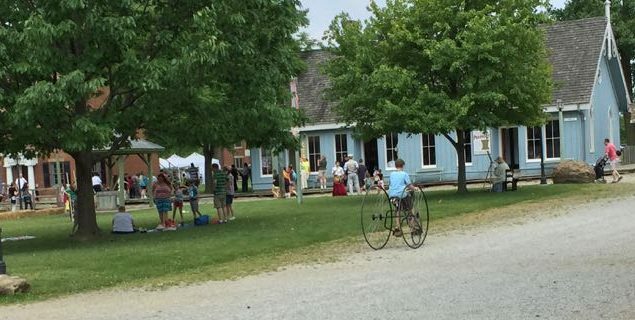 You can try out an adult-sized tricycle at the new bike shop, take your photo 1890’s style, talk with the residents about their everyday life or play old-fashioned games on the Village Green. We attended on Opening Day and the streets were bustling with activity! We got to try hand-cranked ice cream and take a ride in a horse-drawn wagon. 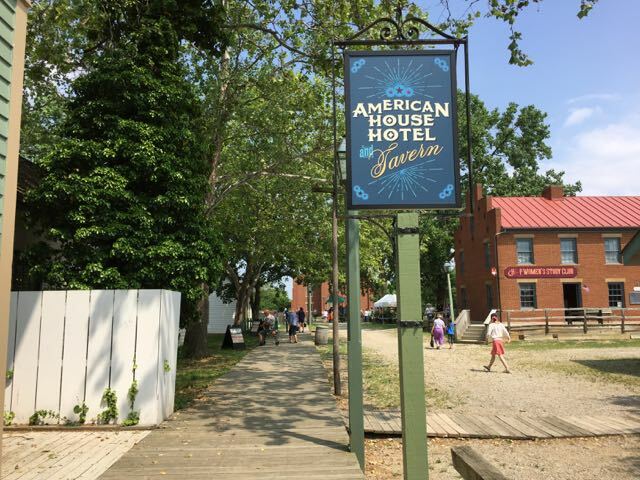 Ohio Village is only open through Labor Day and is included with your admission (or membership) to Ohio History Center. (You can read our review here.) Saturday, June 18th is Storybook Village and your kids can meet with their favorite PBS Kids friends! (There is usually a line for this event and it is very popular so come early!) On June 19th, the Ohio Village Muffins play vintage “base ball” on their home field! I plan to do this kind of post a few times this summer so keep an eye out! Enjoy your summer! We hope to check out the Ice cream factory soon! 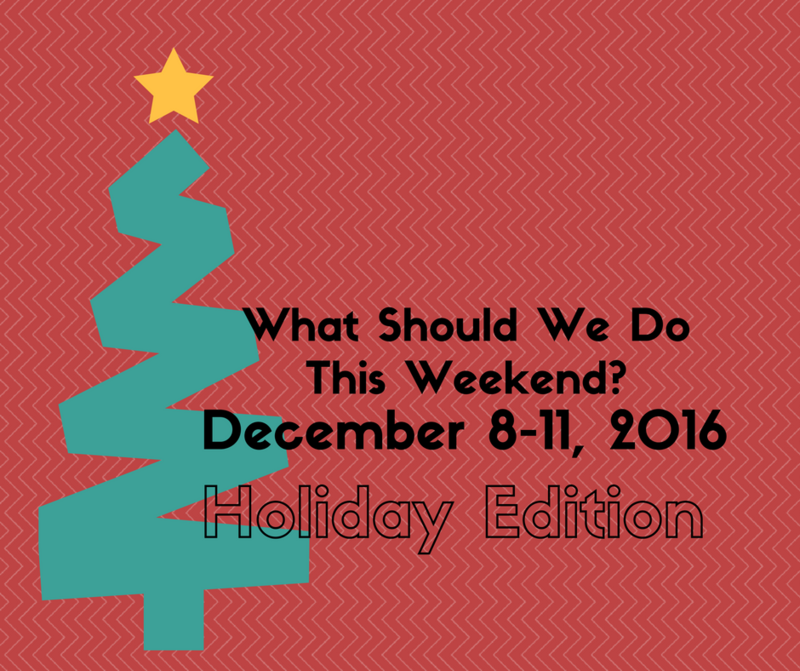 Lots of fun ideas!